J'ai lu cet article et je l'ai trouvé très intéressant. Cet article s'appelle The Permanent exhibition et se trouve à cet adresse http://www.memorialdelashoah.org/en/exhibitions-events/exhibitions/the-permanent-exhibition.html. 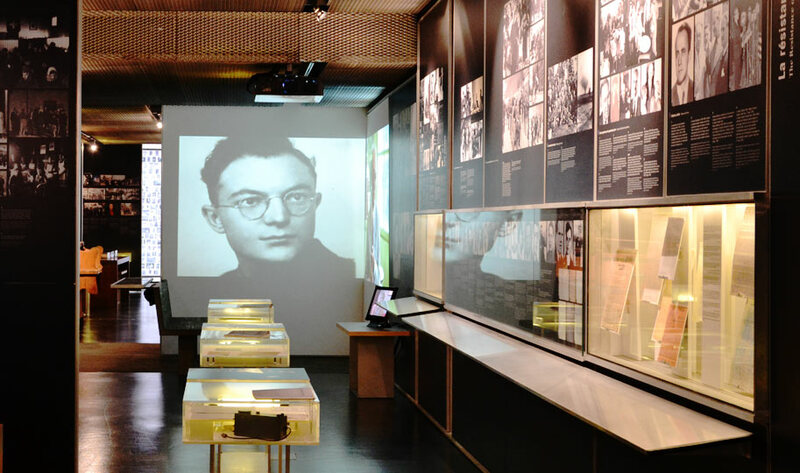 The permanent exhibition, which is on level -1 of the Memorial, comprises 12 chronological and thematic sequences tracing the history of the Jews of France during the Holocaust. Pictures, texts, original documents, facsimiles, objects, films, sounds and other materials tell the history of the Holocaust. 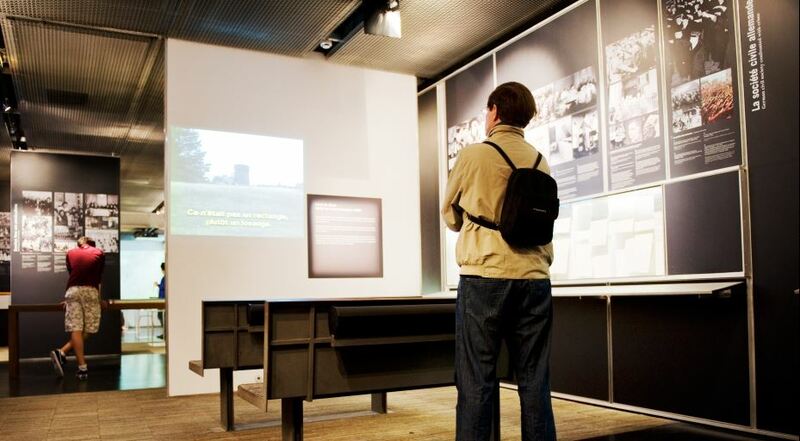 After entering the exhibition, visitors can take the route on their left, which focuses on France and includes individual destinies, while events in Europe are shown on their right. This design enables visitors to continuously move back and forth between history and testimony, the collective past and individual stories. The exhibition offers three levels of depth and interpretation: the first on panels, the second in windows and the third in albums and interactive terminals on stands. Six short films punctuate the route. Throughout the exhibition, small horizontal windows with a deported person’s picture and biography as well as items and documents that belonged to him or her tell individual stories. By describing the mechanisms leading to the extermination of nearly six million Jews, the exhibition aims to give visitors the means to reflect on the past and think about the present in order to remain vigilant in the face of intolerance of any kind. The last section of the permanent exhibition is the Children’s Memorial, which includes 3,000 photographs of deported Jewish children in alphabetical order. Collected by Serge Klarsfeld, they were taken from the book Memorial des enfants juifs déportés de France (Les Fils et Filles des déportés de France, 1995). The pictures are bathed in very soft light whose intensity varies over time.